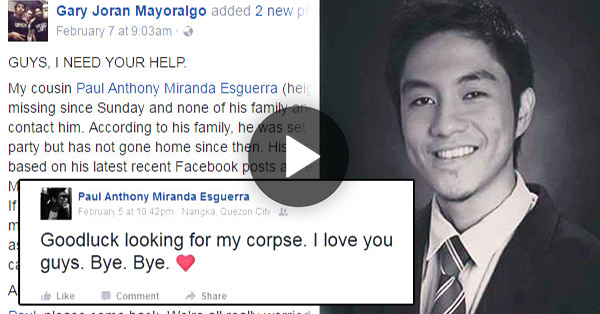 A Teacher in Marikina Announces His Own Death on Facebook Then Mysteriously Disappears! We see lots of things on Facebook — from the screenshots of texts to photos of unbelievable things — but what happens when you see a strange status that seemingly predicts death? It may sound like a hoax, but we assure you — this is very real. 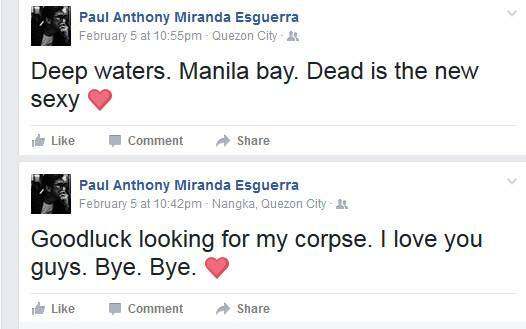 This is the strange case of Paul Anthony Miranda Esguerra, a teacher in Marikina Marikina, who posted death-related stuff on the evening of February 5. Ever since that day, he has been declared missing. Neither his friends nor family knows his whereabouts. Esguerra, age 26, graduated from the prestigious University of the Philippines as a History major. He’s currently molding young minds in APEC Schools Marikina, where he teaches. If you look at his Facebook timeline, he doesn’t seem like the type of person who would have deep-seated emotional troubles. His pictures clearly show him as someone who has a lot of things on his plate. Esguerra was even presented in the recent rally that protested the burial of the late dictator Ferdinand Marcos in the Libigan ng mga Bayani. But that particular night, however, the teacher started posting grim, horrible stuff about death. 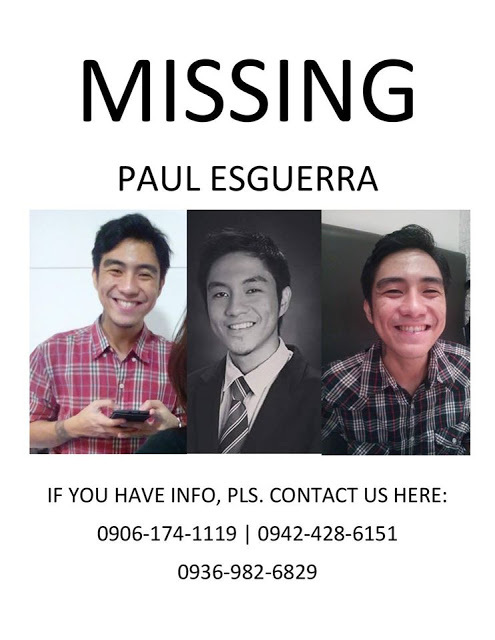 Do you have any information regarding Esguerra’s whereabouts? To help his family by spreading the news so it can reach the authorities! Comment below!